If one were to enter Stuyvesant Hall on April 19 he or she would probably hear German accents, adults acting like dinosaurs and lots of laughter. Campus Activities Magazine’s entertainers of the year, Mission Improvable, performed at Ohio Wesleyan on Sunday as a part of Slice of College Life for prospective students. 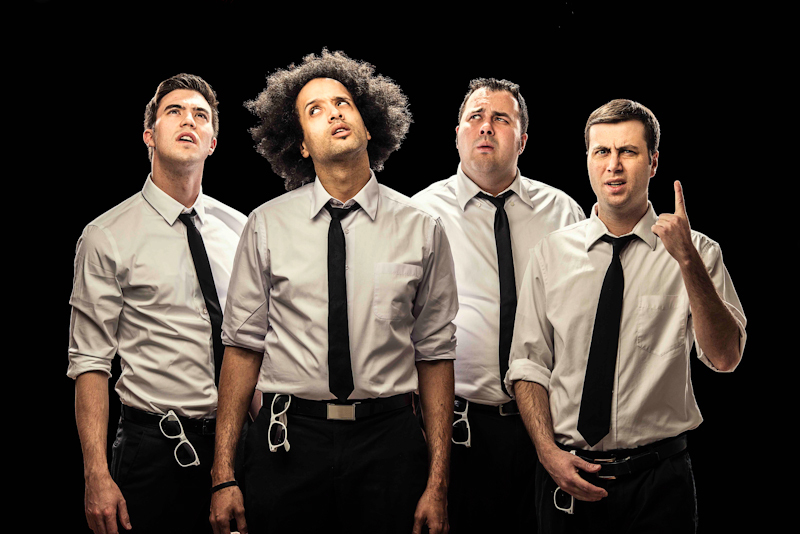 Mission Improvable is an improv group that has been traveling all around the world for the past 15 years. These comedians act as agents and incorporate the audience as co-agents for their “missions.” There are four main agents who travel around that switch out every few years. Mission Improvable was brought to OWU along with mentalist Chris Carter, for the Slice of College Life events. Both acts were recommended by the Student Involvement Office, according to Laurie Patton, senior associate director of admission and events coordinator for the Office of Admission. “It seemed to me that students really enjoyed the performances,” Patton said. “The acts were professional, entertaining, funny, and engaging.” Students on campus helped agents identify unspecified objects, act out an unwritten Shakespearian play and make up scenes for the agents to act out. Prospective student Katie Paull attended the show and said it was the highlight of her weekend. “I couldn’t stop laughing during the show,” she said. Students were encouraged to actively participate in the show and a few even got a chance to be on stage with the performers. The actors in Mission Improvable seemed to have a lot of energy and are very conformable being on stage. One of the agents, Sherman Edwards, joked that his biggest fear is having his pants fall down. “It’s better to be confident and wrong than shy and right,” Edwards said. Edwards originally wanted to be a doctor and even took pre-med classes. He eventually realized he just wanted to wear a lab coat and decided his real passion was in comedy. Another agent, Matt Garard, always knew he wanted to be an actor. “Odds are we won’t see our name in lights, but just the fact that we get to do what we love for a living is very cool for me,” Garard said. The actors in Mission Improvable chose improv because they like how spontaneous it is and that anything can happen.